Can you imagine a city without water? We use it for drinking, cooking, and for other household needs. 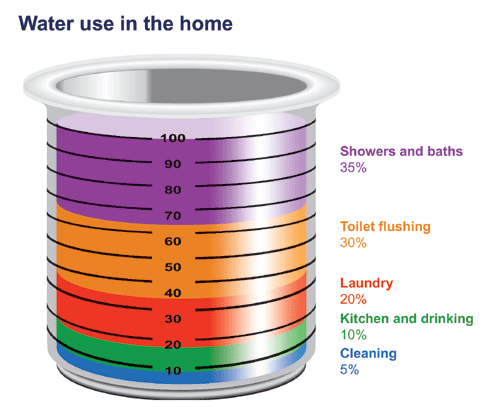 In 2004, Canadians, on average, used 329 liters of water per person per day. 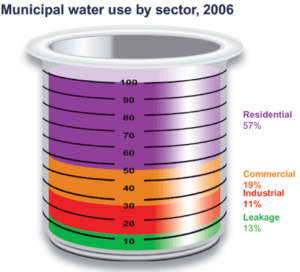 Municipal water use, including residential, commercial, and public uses, and the water lost from reservoirs and pipes amounted to about 9.5% of all withdrawals in Canada in 2006.